Cost: It is extremely costly to purchase mobile phones and laptops for every employee. If you ask employees to bring their own devices to work, it saves companies fortunes. With many employees already owning their personal devices, this can be an easy transition. In fact, a recent Pew Research survey found that 77 percent of American adults already own a smartphone, with 92 percent of 18-29-year-olds owning one. Convenience: It is much more convenient to carry one device rather than carrying two separate ones. Chances are much higher that you would loose one of the them when carrying multiple devices. User Training: You don’t have to retrain your employees on how to use their device since they will already be somewhat familiar with their personal device. In addition, users can also use the device of their preference and comfort rather than employer forcing them a particular device based on corporate policy, hence no to minimal user training is required. Up-to-date technology: Users are more likely to upgrade their own device at their expense rather than the employer exhausting all the costs for device ownership. Again, this can save fortunes! 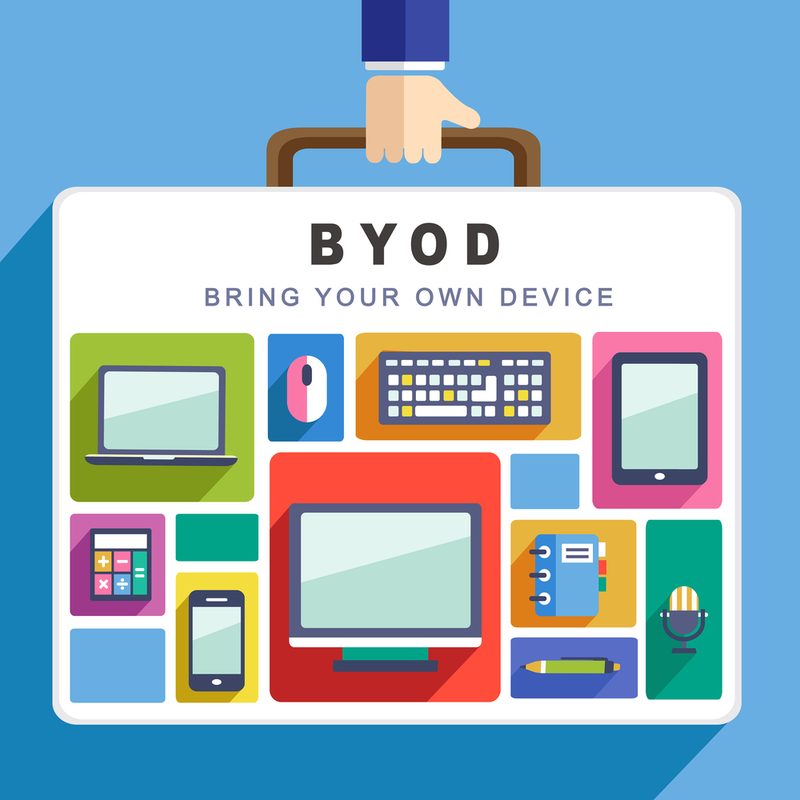 Device Management and support: This can be daunting task when dealing with BYOD devices. Now all of a sudden you are dealing with how to troubleshoot connectivity issues on personal devices whether the operating systems are Windows, Apple or Linux as well as different device vendors. And this can certainly be a challenge. Security: Is the data on personal laptops kept secure? Does the user let anyone else in their family use their personal device which may also have company data on it? Does the user always keep most up-to-date antivirus software on his/her device? All of a sudden these questions become really important. What happens when employee leaves or changes roles in the company? This is probably one of the most asked questions that companies have today. The data management of the laptop if an employee leaves or changes roles in the company can itself be a daunting task. At AMS Networks, we get this question all the time: can a company revoke user’s access or grant them the ability to only see particular files if their role within the company has changed? At AMS Networks, we offer our customers ability to manage the BYOD devices and address all of the concerns above plus more. With a simple click of a button, you can revoke company’s private files without affecting user’s personal files and also restrict what files a particular user can see. With our enterprise grade encryption, you can rest assure that you are always protected end to end! Contact us today to learn more about our cloud services and you can leverage BYOD devices in your environment while preserving security and convenience.